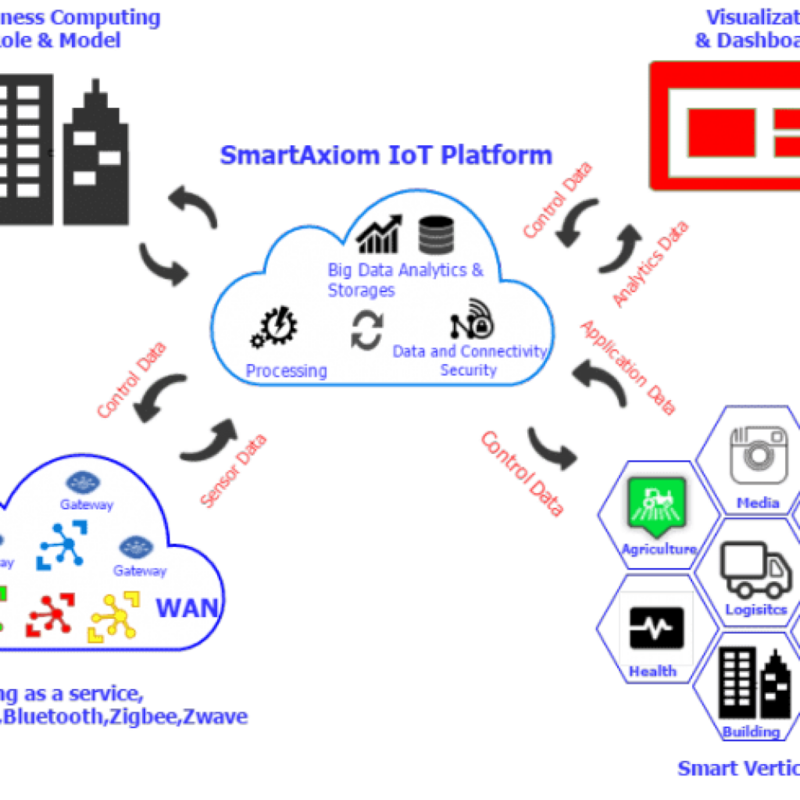 SmartAxiom provides an all embracing Fog computing IoT platform designed to integrate systems powerfully and effectively. The platform is based on coordinating information and services on a variety of internet-connect-objects (ICO), which includes physical devices and virtual or logical entities. Tightly integrated hardware and software security from the edge – to the cloud, along with data protection and policy management. This delivers trusted data to applications that create real value. 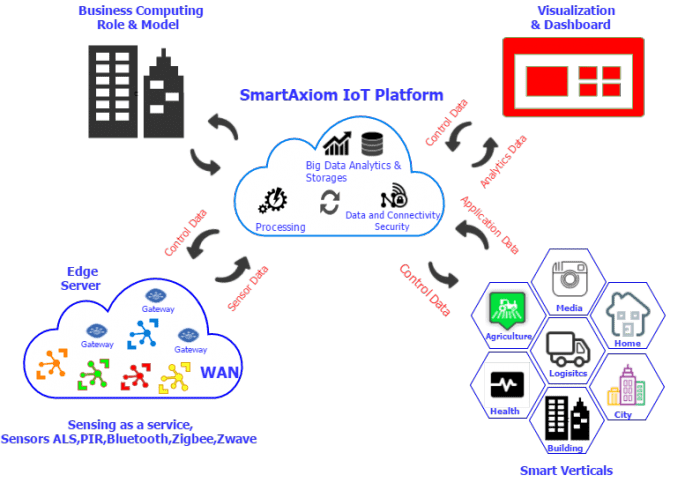 Our Communication products gather from connected devices and sensors, both hardware and software, which are verified and secured to ensure only trusted data is sent to cloud.